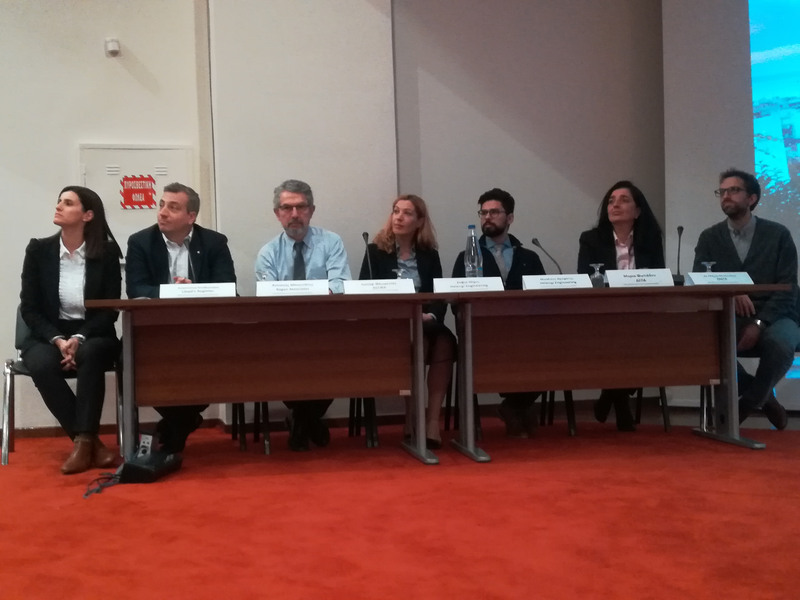 The use of Liquid Natural Gas (hereinafter referred to as LNG) as a safe and eco-friendly fuel for maritime transportation was the subject of the Half Day Awareness event, which took place at the Conference Centre of the University of Patras on the 7th December 2018. The event was organized with the support from the University of Patras. Registered attendees reached the number of 154, validating the strong interest from the academic community initially expressed. Students that sat throughout the three hour presentations had the chance to learn about the characteristics and properties of LNG, its merit as an environmentally friendly fuel, as one of the alternatives to conventional marine fuels. The audience has also had the chance to be guided through the Projects main activities and milestones achieved to date, and thus get familiar with the safety and commercial aspects of LNG in the maritime sector. Overall, the elements of an LNG efficient supply chain were unlocked and future steps in building a solid infrastructure were presented. The event commenced with the first speech by Professor D. Margaris who is heading the Fluid Mechanics Laboratory at the Department of Mechanical Engineering and Aeronautics, School of Engineering, University of Patras. The professor presented the characteristics of NG, its transportation routes and the roadmap for its wider adoption in Greece. The architecture behind small scale LNG infrastructure (M. Fotiadou/ DEPA), the capabilities of the LNG Terminal Station in Revithoussa (J. Florentin/ DESFA), the results of air pollution studies at ports (K. Sfetsioris/ CERTH), the regulatory framework for the supply of LNG to vessels (A. Kouvertari/ LR), the outcome of ports’ studies, relating to risk assessment and the permitting process (A. Boutatis/ ROGAN), vessels LNG retrofit designs (S. Michos & N. Vrachatis/ HELENGI); were topics that were touched upon by each Poseidon Med II Partner. The event was concluded with a Q&A session, where the panel of Speakers conveyed a positive message that LNG has indeed a strong share in the alternative fuels market that is now coming into life; being competitive in price as well as providing environmental and social tangible results to the local community.